Gorgeous, close-in (5 min to Broadway), Pine Brook Hills estate w/stunning views of city, Flatirons & foothills. 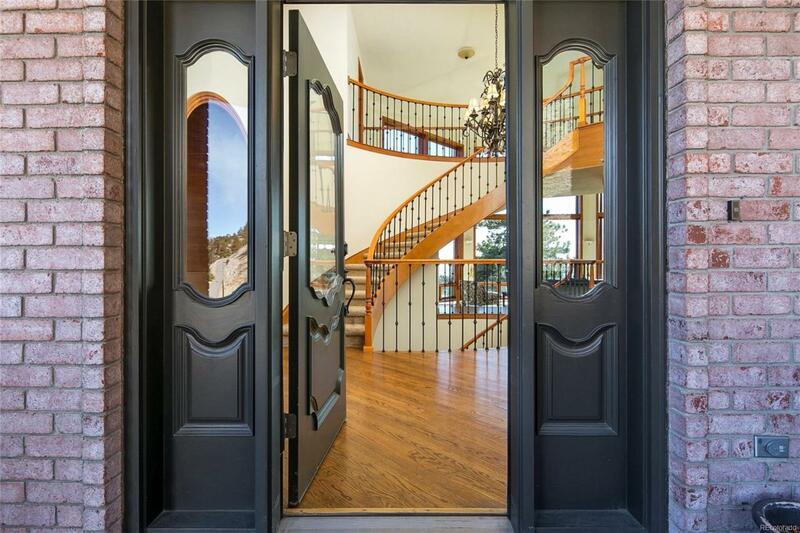 You will be "wowed" by the grand, spiral staircase & the 2-story windows that frame the city lights of Boulder. Two of the upper bedrooms share a "living area" that is perfect for toys, a television or sleeping quarters for a nanny. Renovated kitchen w/granite counters, impressive great room, walk-out lower level has in-law quarters, w/a private entrance, 2 bedrooms, a full bath & a living room. A must see. OPEN HOUSE, SUNDAY (3/25) FROM 12PM-3PM.